Despite the 3 executions carried out on June 17 and 18, executions and death sentences in the U.S. have steadily declined since the 1990s. Moreover, the number of states carrying out executions has also dropped to a small minority (see chart). Since executions peaked in 1999, the number of states carrying out at least one execution in a year has fallen by over 50%. In 1999, 20 states carried out executions. In 2012 and 2013, just 9 states did so. As of June 20, 2014, only 6 of the 32 states that have the death penalty have had an execution. More than half of the states in the country (30) have not carried out an execution in the past 5 years. Twenty-one (21) states have either abolished the death penalty or declared an official moratorium on executions, with six states ending the death penalty in the last six years. The growing geographical isolation of the death penalty is also evident on a county level. A majority of executions since 1976 and a majority of all those on death row each came from just 2% of U.S. counties; 85% of counties have not had a single case result in an execution since 1976. The New Republic has just released autopsy photos taken after the Florida execution of Angel Diaz in 2006. The execution was so badly botched that it prompted then-Governor Jeb Bush to temporarily suspend executions so the state's lethal injection procedure could be reviewed. The needles that should have been inserted into Diaz's veins were instead pushed through into the surrounding tissue, causing extensive chemical burns. Dr. Jonathan Groner, a professor of clinical surgery at Ohio State University College of Medicine, viewed the photos and said, “I’ve never seen anything like this from IV infiltration...That is the kind of injury we see when a kid has fallen in a campfire or set his arm on fire. My guess is someone who got this when alive would need skin grafts to heal.” When the first dose of the three drugs did not kill Diaz, the cycle was administered a second time. Since sodium thiopental, the first drug used in Diaz's execution, does not produce anesthesia when injected into tissue, Diaz was likely conscious as the other drugs slowly caused paralysis and prevented him from breathing. Witnesses to the execution said Diaz continued to move long after he should have been unconscious. The autopsy revealed large chemical burns on Diaz's arms and the medical examiner noted "extensive skin slippage," which occurs when the top layer of skin separates, revealing the white and pink subcutaneous layers beneath. The autopsy photos were recently found in the case files of another Florida inmate, who used them to challenge the state's execution procedure. Read more about NEW RESOURCES: BJS Releases "Capital Punishment, 2012"
UPDATE: On April 23, the Oklahoma Supreme Court held that the inmates facing execution do not have a right to be informed of the source of the drugs that will be used in their executions. The Court lifted the stays of execution, which means they could occur on April 29. -Earlier: On April 21, the Oklahoma Supreme Court indefinitely stayed the executions of Clayton Lockett and Charles Warner so it could resolve the constitutionality of a state law making the sources of its lethal injection drugs a secret. The Supreme Court had originally directed the state Court of Criminal Appeals to stay the executions, but that court declined because it said the secrecy challenge was not part of a criminal appeal. Acting under its authority as the ultimate arbiter of jurisdictional issues, the Supreme Court reluctantly assumed control over the entire case and granted the stays, lest the inmates be left "with no access to the courts" as their executions loomed. On April 22, Gov. 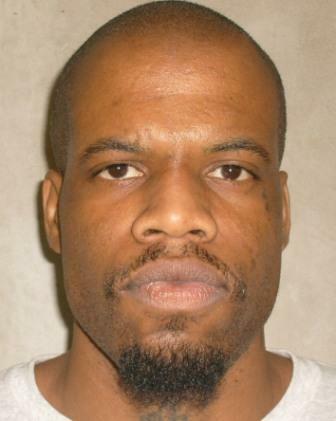 Mary Fallin rescheduled Lockett's execution for April 29, questioning the authority of the Supreme Court to grant the stays, although it is unlikely the underlying issue will be resolved by that time. Madeline Cohen, an assistant federal public defender involved in the case, said, "We hope this case will lead to full transparency in Oklahoma's lethal injection practices and that no more executions will take place until basic questions about those practices are answered."